In response to the 'resistance' his new team of Avengers was receiving from some media outlets, Norman realized that in order to garner further public support his team would need to take down a group so vile that the public could not help but support him. Enter the Lethal Legion. The Grim Reaper formed a new Legion consisting of The Absorbing Man, Nekra, Mr. Hyde, Tiger Shark, the Grey Gargoyle, and the Reaper's brother, ex-Avenger and Osborn slanderer Wonder Man. 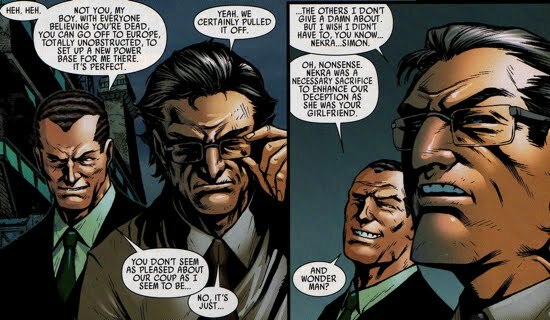 Unbeknownst to the entire group, the Grim Reaper cut a deal with Osborn that involved a botched kidnapping of Osborn by the Lethal Legion. The group believed that they successfully kidnapped Osborn (because they did!) only to find out that they were double-crossed as Norman found a way to escape their detainment. The whole group was then placed in jail, including the Grim Reaper, who was soon 'killed' in prison. However, the Grim Reaper's death was part of he and Osborn's plan, because the Reaper (as part of a voodoo curse) could be reanimated as long as he kills someone every 24 hours. Osborn helped him to accomplish this, so Osborn's Avengers came out looking great after incarcerating the new Lethal Legion and the Grim Reaper got off scot-free while the rest of his former group remained in prison. 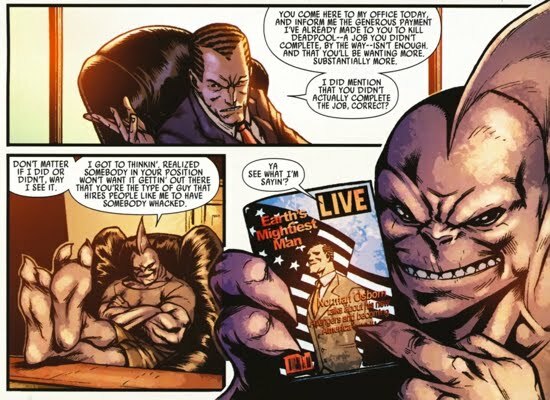 This should be filed under a 'success' for Norman Osborn, his plan worked as well as he could have imagined. 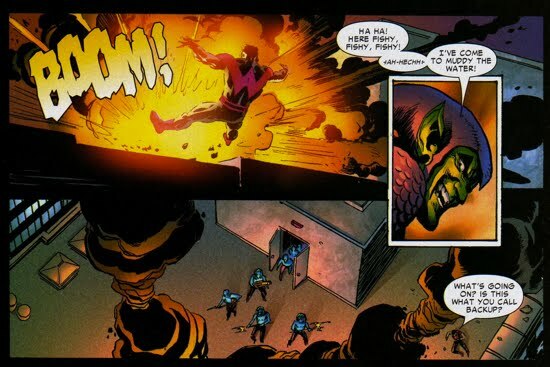 Wonder Man and the rest of the Lethal Legion remained in prison for the duration of Osborn's tenure with the Avengers. Wonder Man, however, was later freed from prison after Norman was removed from power. 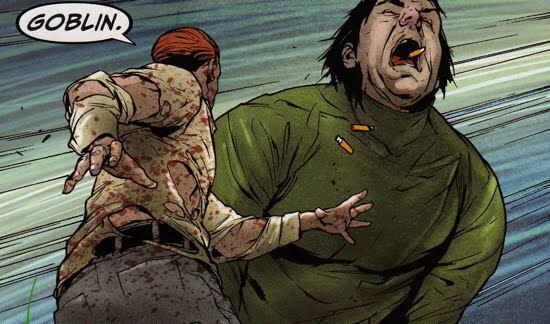 The last time Mr. Hyde had confronted Norman Osborn, Osborn did a fine job rearranging Hyde's face with some explosive devices. This occurred back in Thunderbolts: Reason in Madness. Mr. Hyde was not the only one with a vendetta against Osborn from a relatively recent encounter. 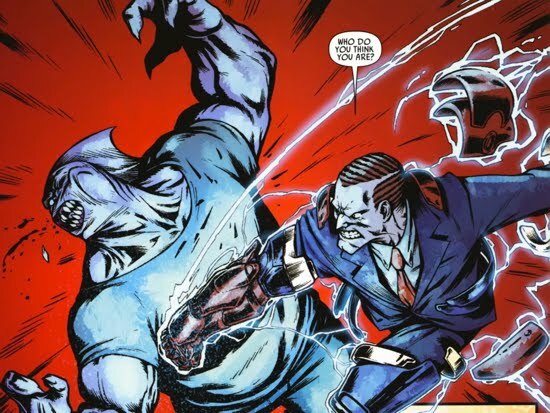 Alongside Mr. Hyde, Whirlwind, and Boomerang, the villain Tiger Shark had attempted to extort Osborn when he was directing the Thunderbolts. Luckily for Osborn, Mac Gargan had double-crossed Tiger Shark and the others, which ultimately saved Osborn's hide. After beating the snot out of Tiger Shark, Osborn spared his (and the others) life and place him under his [Osborn's] employ. 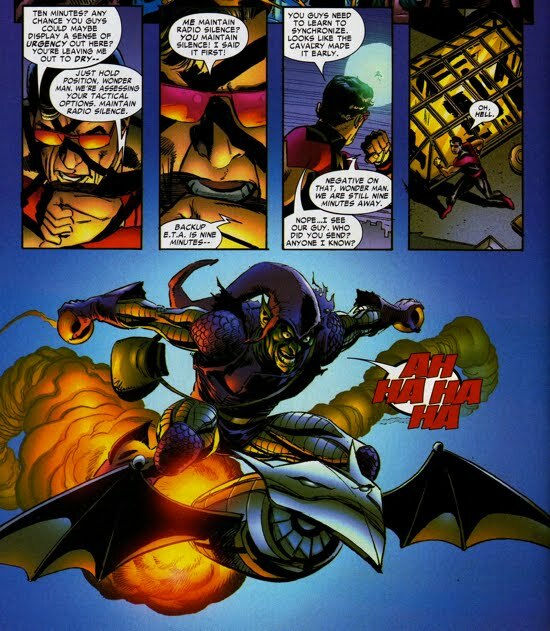 Making good on that promise, Osborn hired Tiger Shark to kill Deadpool after the merc attempted to soil Osborn's 'heroic' reputation post-Skrull Invasion. Tiger Shark failed at his mission, then tried to blackmail Osborn at the onset of this mini series by going public with the information that Osborn has thugs on his payroll. 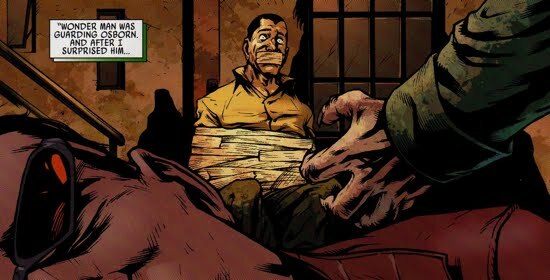 Osborn had none of it, handed Tiger Shark yet another beat-down and landed the villain, once again, in prison. Interestingly, the Grim Reaper wasn't the only member of the Legion willing to sell the rest of the members down the river. The Grey Gargoyle (aka Paul Duval) contacted his old friend Karla Sofen (aka Moonstone aka Norman's Ms. Marvel) to trade information regarding the Legion in exchange for a position with Norman's Avengers. Sofen declined his offer. 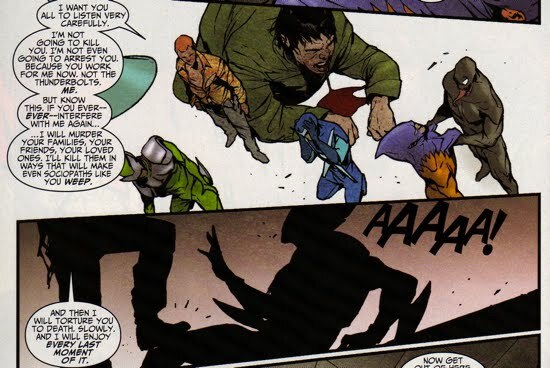 Last but not least, Norman was able to get payback on Wonder Man for bad-mouthing him and his Avengers publicly. Osborn used Wonder Man's own brother to get the former Avenger placed in jail. Sweet revenge for Norman Osborn! Of course Osborn had already gotten the best of Wonder Man back when Osborn was secretly working for Stark during the Superhuman Civil War. Osborn, as the Green Goblin, was attacking as an operative for Stark and he killed a group of Atlanteans, whom Wonder Man had been tracking. The Atlanteans were the target and Wonder Man just happened to be collateral damage.